As Saudi Arabia and its allies have begun the bombing campaign against Yemen, in the south, a separatist movement calling for a “State of South Arabia” is emerging. Fostered by the US, it will leave the Houthis with two hostile states at their borders and locked access to the sea, if it succeeds. Welcome to phase two of US regime change operations. After Yemen’s 2011 revolution failed and Houthi militias overthrew President Hadi, forces trained and sponsored by the US government are being activated as a separatist movement.The Southern People’s Committees (SPC), founded around 2007 although USAID has been conducting political workshops as part of a $695,000 project and actively grooming leadership in Yemen since 2005. (Also in 2007, weekly protests began, organized by women’s organizations, fostered by the workshops.) The SPC were similar to many color revolution movements such as Serbia’s Otpor in that they did not have a central leadership, but rather an autonomous cell-based organization. In addition, they were very capable in the use of social media technologies, text messaging and the circumventing the government’s internet censorship to organize protests. At the same time, USAID funded a $3.58 million project called Promoting Youth for Civic Engagement (PYCE) to train Aden youth ” in PACA [political activity training], first aid, self-defense, photography, calligraphy and various other topics,” including “media skills,” according to an evaluation report of the PYCE Project, conducted in 2012. The project was constrained to Aden and did not conduct workshops in the northern capital, Sanaa, after reportedly receiving threats. The project is presented as a youth “sports program,” and although it does include basketball, handball and chess, these were not the primary goal, as the report shows. At the same time, first aid, self-defense, photography and calligraphy (making protest signs) sound a lot more like protest tactics than sports. The program, initially planned to last for two years, did not make any progress reports after March 2012, when President Hadi assumed power.After the 2011 revolution, the SPC became more of a military outfit and took part in a fight against al-Qaeda in Yemen, which coincided with the CIA’s expanded drone campaign in the area. This is also where the organization fades from public view when it comes to USAID expense reports, as the organization appeared to lose interest in developing democracy in the country. 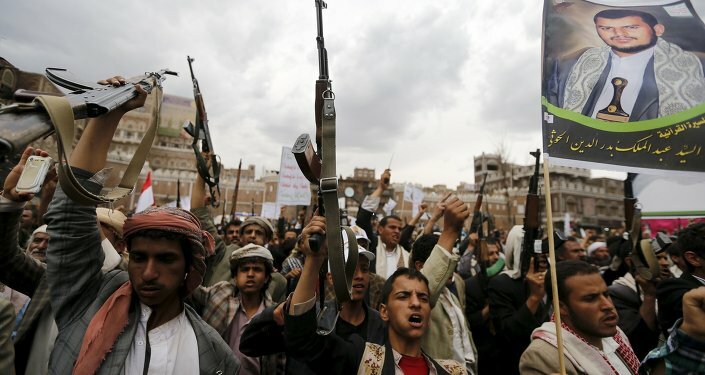 In a June 4, 2012 a field commander of the People’s Committees gave an interview to the Yemen Times, in which he described the group’s fight against the Ansar al-Sharia Islamists together with the government. At the same time, in southern Yemen, the People’s Committee has been very active on Facebook and Twitter since around October 2014. The Facebook and Twitter pages publish slick anti-Houthi propaganda and call for separatism and a “State of South Arabia,” within the bounds of former South Yemen, and using South Yemen’s flag. Since mid-March, the SPC have been fighting against Houthis and see Saudi Arabia as an ally of convenience, although some of their social media accounts, Saudi Arabia’s King Salman and other royal family figures are glorified. 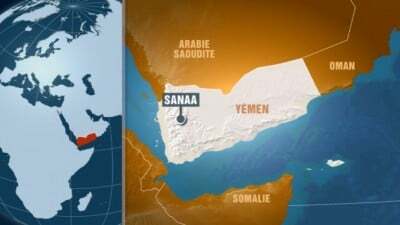 However, the splitting of Yemen benefits Saudi Arabia, as it secludes the Houthis to a smaller Northern Yemen, which would be surrounded by two hostile states, with Saudi Arabia to the north and the new South Arabia to the south, which would also control access to the sea at the Gulf of Aden. Indeed, while Russia has been repeatedly accused of helping Donbas independence supporters, the US has openly fostered the south Yemen separatist movement. At the same time, while Ukraine’s President Yanukovych was called illegitimate by the US after fleeing the country, Yemen’s Hadi has remained “legitimate” and has even called for a Saudi Arabian military operation against the people who ousted him.The ongoing conflict in Yemen is currently at the second phase of US regime change operations, rebel conflict. The first stage, the color revolution, has failed, and now the last stop, foreign intervention and ground invasion remains. Saudi Arabia and its Gulf allies have already begun the airstrikes, and the South Arabia movement has begun its separatist campaign.